Are you ready for some cosmic insight into your relationships? If so, you have come to the right place. Our big newsmaker this week continues to be Venus retrograde. If you didn’t read my extensive article on the latest shenanigans of the love goddess, then you should check it out: Surviving Venus Retrograde. This week relationships continue to be in the crosshairs. However, we get a cosmic assist from Mercury at the beginning of the week. This week, the Moon travels through the final three signs of the zodiac – Capricorn, Aquarius, and Pisces. Our focus will shift from our personal relationships to our relationships with the rest of the world. So, do not be surprised if you get inundated with political ads and robocalls; after all, ‘tis the season. Remember that cosmic assist that we will get from the universe? Well, it happens on Monday when Mercury conjoins Venus retrograde. The planet Mercury symbolized how we understand life and when he conjoins Venus retrograde, we begin to understand the mechanics of our relationships on a deeper level. Practically speaking, the areas of our relationships that are problematic will become clear, giving us the opportunity to make changes where necessary. There are a couple of features of Mercury conjunct Venus that are important. First off, this aspect gives us the ability to express our emotions easier, and for those that have problems doing this, it can be a game changer in your relationship. Keep in mind, it will be easier for your partner, as well. Secondly, Mercury conjunct Venus allows us to understand our partners better. Often, seeing life through the eyes of another helps us to improve our relationships because we are empathetic and willing to validate our partners experience. Since Venus rules money and Mercury rules commerce and our day-to-day life activities, we can see our business activities and professional life clearly. You may discover personal dissatisfaction with your finances or career and can begin to formulate a plan to make things better. Avoid making significant changes until after the New Year because Mercury retrograde happens the day Venus turns direct (Nov 16). The Moon continues to move through Capricorn and forms troubling aspects to both the Sun and Pluto. Power struggles could occur with people you work with and you may feel like someone is trying to diminish your light. However, any conflicts that may occur will be resolved favorably because the Moon’s last aspect is a beneficial sextile to Jupiter. The Moon moves into social Aquarius. This energy is great for networking and socializing with friends and associates. You will find it necessary to connect with kindred spirits that share similar ideals. The Moon forms difficult aspect to Venus on Wednesday evening, but any insecure feelings that occur will be fleeting. Minor snafus may occur during the early morning hours, and you need to be very clear with your communications to prevent problems that may potentially occur, but overall the day should be energetic and rather positive. This is a great day to get things done. There is a split in the cosmic energy on Friday. Mercury will trine Neptune during the morning hours. This is great energy for creative work because Neptune dissolves blocks to the imaginal and spiritual realms. Additionally, Mercury trine Neptune makes us very sensitive to the moods of others, which on one hand makes us more sympathetic and charitable, but on the other hand, leads to unintentional conflicts. This leads us straight into Mercury square Mars. Although we may have good intentions towards others with Mercury trine Neptune, they may not be receptive. In fact, with Mercury square Mars they may be hostile, which can lead to sharp words and potentially explosive arguments, especially if you begin to defend yourself. If tensions arise today, it is best to walk away. The good news is that Mercury moves quickly allowing tempers to simmer. This weekend the Moon moves through sensitive Pisces. The good news is that she only makes positive aspects. You may be called upon to help someone in need because the natural energy of Pisces is to make us sensitive to people around us, like Mercury trine Neptune. The difference is that people will be more receptive to our help and assistance because Mercury square Mars will be less of a hinderance. Otherwise, the weekend is a great time to enjoy yourself. Perhaps, a nice dinner or a movie may be in order. 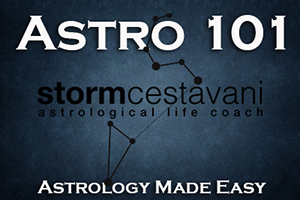 This entry was posted in astrology and tagged astrology, cosmic weather, horoscopes, libraseason, mercury conjunct venus, Mercury square Mars, Mercury trine Neptune, Storm Cestavani, Venus Retrograde, Zodiac, zodiac signs on October 13, 2018 by Storm Cestavani.